Constructed with a full base suitable for the Connecticut climate. In your choice of Bluestone, Brick, or Concrete Pavers. There are numerous styles and colors from which to choose. Hardscaping is a great way to liven up your front yard or backyard. By creatively designing walkways and patios that compliment your landscape, you can bring your yard to life. We have many years of experience working with a wide variety of building materials. Whether you are looking for a beautiful, brick back patio, or an utilitarian brushed concrete grill pad, we are excited to bring your yard to life. 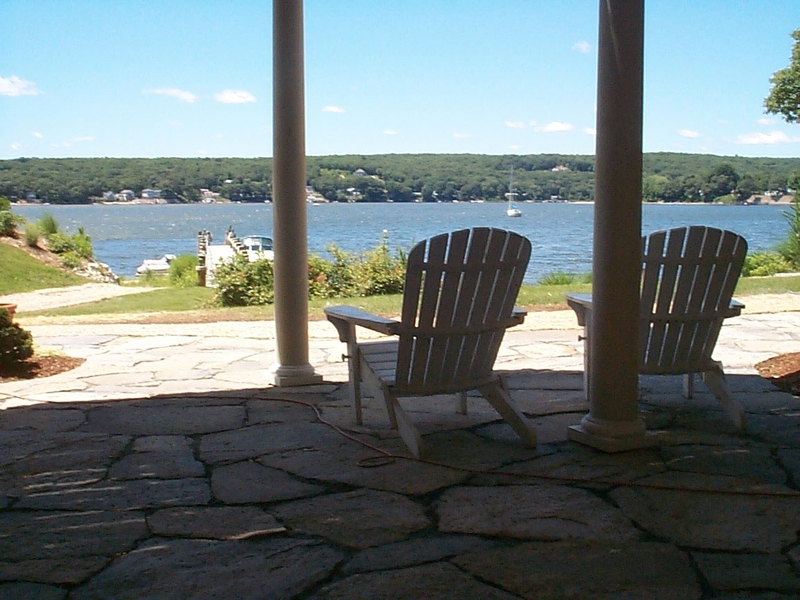 And even more than that, we ensure that your walkways and patios are made to last, despite the unpredictable eastern Connecticut climate. We will help you from concept to completion. Call Burnett’s Landscaping to get started today. Attractive and practical. Our Retaining Walls & Garden Walls are available in many styles and colors. One of the best ways to accent and liven up your backyard is with a retaining wall or garden wall. Not only do these yard features complement your landscape, they also serve the utilitarian function of helping maintain your landscape. 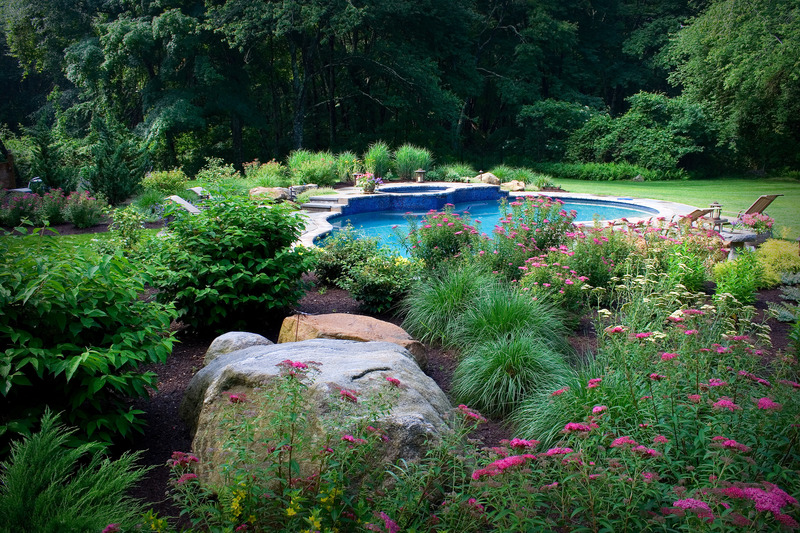 Particularly in yards or gardens with steep inclines that are all too common in Connecticut, these eye-catching walls can help maintain the integrity of your landscaping and ease maintenance. At Burnett’s Landscaping, we can build retaining walls and garden walls out of a variety of materials and colors so you can achieve your desired final look. Our stone masons can install a unique, hand-crafted project made from local, natural fieldstone. 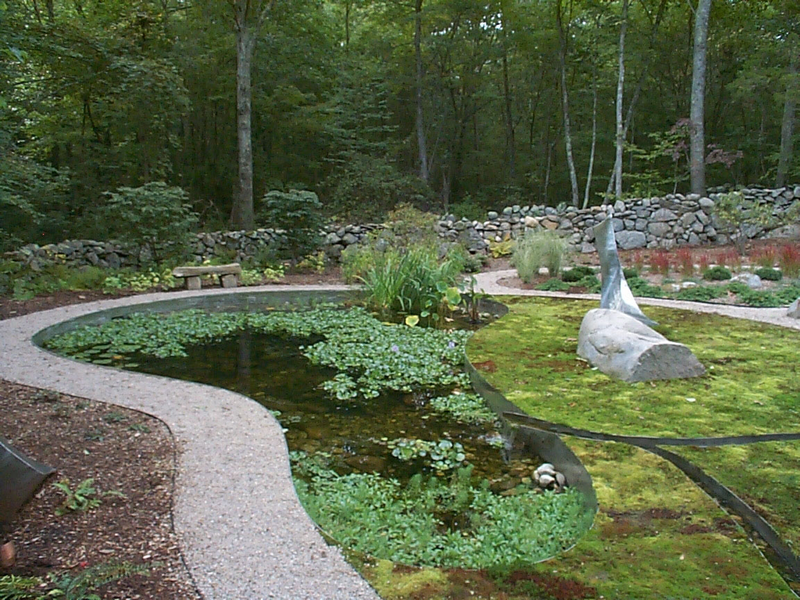 One of the things that sets the Connecticut landscape apart, is our abundance of fieldstone. Utilizing this fieldstone within your landscape is a great way to incorporate a more natural look into your landscaping. 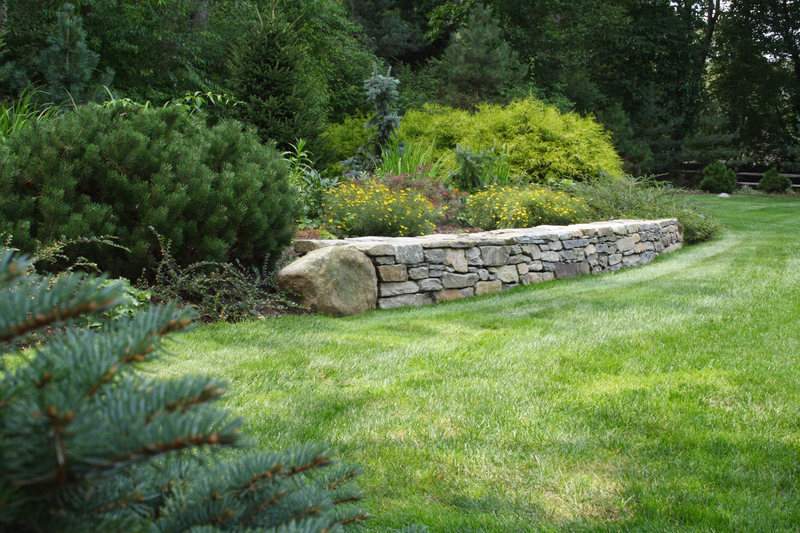 At Burnett’s Landscaping, our stone masons can build and install unique fieldstone walls, steps, and accent features. Our fieldstone structures and features are crafted from local, natural fieldstone to add that perfect finishing touch to your outdoor living space. A classic look that is suitable for many locations. If you are looking to spice up your hardscape, a classic look that works with almost any yard is granite cobble edging or aprons. This accent to your yard brings a sophistication to your landscape with a timeless feel. Our expert team will make sure that the granite cobble is installed so that it not only looks beautiful, it also lasts. An attractive and fun addition to any landscape! If you are looking to liven up your yard, water features are the perfect addition! Not only are waterfalls and ponds eye-catching, they also create movement and intrigue to your yard. Brighten up your backyard with custom lighting installation. Another way to liven up your backyard is through landscape lighting. Adding light features to your yard is a great idea, particularly if you often entertain late at night. Strategically placed light features can bring your yard to life, even after the sun sets. Furthermore, the interaction between the living landscape and the accent features creates a unique final product.